Sometimes the simplest things can bring the greatest summer time pleasures. 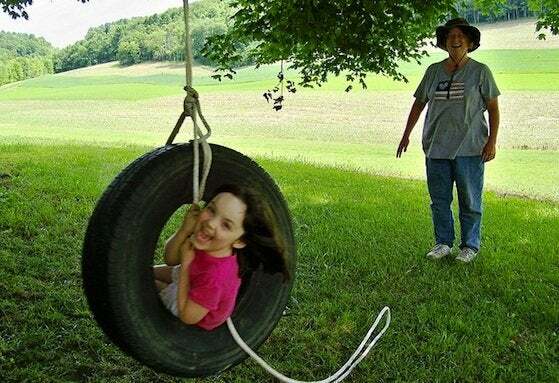 That’s what we felt when we discovered this delightful tire swing tutorial on MyMommysPlace. 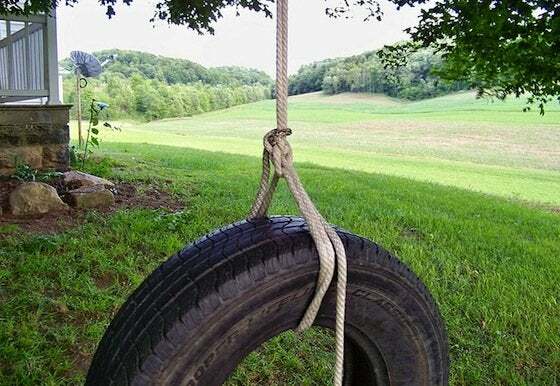 Here’s how to make a tire swing the easy-peasy, old-fashioned way! First, give the tire a thorough cleaning with a pressure washer. If you don’t have the right tool, take the tire to the car wash to clean it with one of the high-pressure hoses on the premises. 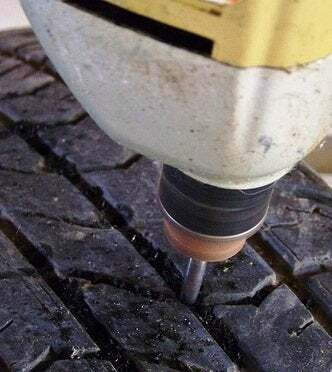 When you’re ready—that is, when you’re satisfied with the cleanliness of the tire—drill a series of holes in the bottom of tire to prevent water from pooling when it rains. Use a ladder to reach a sturdy tree branch to secure the rope. Note: Your ladder is a lot taller than it looks. Be careful up there! If you’d rather not risk it, here’s a workaround: Place a softball in a sock, and tie the sock to the end of the rope, before tossing the ball as over the branch. Now, tie a slip knot and pull on it, causing the knot to travel upwards until it finally reaches the branch. You end up with a double rope of unequal size. Have the heaviest member of your family test the swing to ensure its strength. You may not want to tell this person why he or she was chosen…. Let your impatient kid swing already. You can cut off the excess rope later. Pat yourself on the back and admire your handiwork from the street, just like the neighbors will.